The 2017 College Football season is right around the corner and that means it is prediction season. We will do something different than last year. In 2016, we made 5 predictions for each conference for a total of 55 predictions. The final total was 30.5 predictions correct for 55.5% hit rate. This year we will make a total of 25 predictions with five each week until August 23. The predictions will range from conference winners to team win totals or bowl games to individual player performances. We will start with the mid-major conferences (predictions 25-16) before ending with the predictions for the Power 5 conferences (predictions 15-1). This edition is the second and we once again will focus on the mid-majors conferences. Below is the schedule for the 25 predictions. 20. (MAC) Akron will win the MAC East – Terry Bowden will be in his 6th year at Akron and this team looks poised for a big season. 8 starters are back from an offense that put up 27.4 points and 387 yards per game. The 2016 offense had only 3 starters back and now the top quarterback and running backs return. The offense has to contend with the loss of the top 2 receivers, but do have talent to replace them. The defense has 7 starters back from a group that allowed 33.6 points and 466 yards per game. The 2016 version had four starters back while 2017 will see much more experience and add in Miami (FL) transfer James King. The defense should be closer to 2014 numbers of 23.1 points and 371 yards per game allowed. Akron has a potentially difficult conference schedule with all 8 games packed into 8 weeks. They start with Bowling Green (away) and Ball State (home) before back-to-back road games at MAC West contenders Western Michigan and Toledo. Even a split of those two games would be huge for the Zips. Akron ends the conference season Buffalo (home), Miami (away), Ohio (home), and Kent State (home). The run in is favorable for them to steal the MAC East from Miami and Ohio. 19. (MWC) Boise State will lose at least three games – This does not seem like much of a prediction, but let’s provide some historical context. Since the Broncos have moved from the FCS to FBS, they have only 1 stretch of three or more seasons when they lost at least three games: 1996-1999. That coincided with their move to the top level of collegiate football. Boise State has shown a great pattern of bouncing back when they have a multi-loss season. The 2017 Boise State team has five starters back on offense and four on defense, which will hurt the Broncos. The duo of Jeremy McNichols (RB) and Thomas Sperbeck (WR) depart for veteran quarterback Brett Rypien, but Rypien still has a lot of talent around him. They will need to step up to help him and the team. The defense loses the top four tacklers and six of the top seven from 2016. Again, there is talent on both sides of the ball to help absorb some of the departures, but that lone does not mean success. The schedule is difficult for Boise State. They take on Troy (home), Washington State (away), Virginia (home), and BYU (away) in the non-conference portion. In the Mountain West, they have to play San Diego State (away), Wyoming (home), Nevada (home), Colorado State (away), and pesky Air Force (home). The Falcons have beaten Boise State three straight seasons although they look weaker this season. There is no doubt Boise State is talented enough to win double digit games and even the Mountain West, but it looks like they will see a third straight 3+ loss season for the first time in nearly two decades. That is still impressive given their relatively short history in the FBS. 18. (MWC) Air Force will reach a bowl game – In 10 seasons under Troy Calhoun, the Falcons have only failed to reach a bowl game once. The non-bowl season was in 2013 when they went 2-10 going winless in conference play. A 10th bowl game in 11 seasons is not a slam dunk for Air Force. They have six starters back on offense led by experienced quarterbacks Arion Worthman and Nate Romine. Top receiver Jalen Robinette has moved on, which may lead to more rushing plays. That will put extra pressure on Worthman and Romine as well as Tim McVey, who is the top returning running back by a wide margin. The pieces are there for Air Force to do well on offense. The real worry on paper is the defense, which returns just one starter and loses 12 of the top 13 tacklers. Grant Ross is back at linebacker and he was the third leading tackler in 2016. The defense allowed 26.2 points and 365 yards per game in 2016 with 9 starters back so on paper it looks like they will take sizable a step back. The last time Air Force had only a few starters back on defense was in 2012 when they had 2. That group did well enough to allow only 29 points and 409 yards per game, which represented marginal increases of .6 points and 23 yards from the 2011 numbers. Air Force will need a few upsets to reach 6 wins and a bowl game, but the path is there. Air Force takes on VMI (home), Michigan (away), Navy (away), and Army (home) in a non-conference schedule sprinkled throughout the first 9 weeks. From the West division they will play San Diego State (home), UNLV (home), and Nevada (away). Their best chances are the latter two though a porous defense will hurt their opportunity to reach 6 wins. The Falcons have to deal with a contentious Mountain division of New Mexico (away), Colorado State (away), Wyoming (home), Boise State (away), and Utah State (home). The Falcons could win 3 of those games, which would give them a great chance to get to a bowl. 17. (AAC) 9 teams will make a bowl game – The American Athletic Conference has been on an upward swing since the start of the chaotic conference realignment that began 7 years ago. 2013 was the first season of AAC football and they sent 5 of their 10 members to a bowl game. 2014 saw 5 of 11 teams go to bowl game followed by their best season when 8 of 12 teams went to a bowl game. 2016 finished with 7 teams going to a bowl game and a lot of preseason hype around Houston. This year looks like a great opportunity for the AAC to put 75% of its members into a bowl game. The AAC has 7 bowl tie ins and the oversupply of bowl games make it easier for teams to participate than ever before. (Side note: there is actually one less bowl game than 2016 with the cessation of the Poinsettia Bowl). In 2017, South Florida is the clear favorite for the East division, but Temple (10-4 in 2016, but a new coach this year) and Central Florida (6-7 in 2016) also look likely to get back to a bowl game. The bottom half of the East looks like a conundrum between Cincinnati, Connecticut, and East Carolina. The Bearcats underachieved in 2016 and now have Luke Fickell in his first season. They could improve enough to get a bowl bid. Connecticut welcomes Randy Edsall back to Storrs after a six year absence. Edsall made a bowl game in each of his last four seasons and has 7 starters on both offense and defense to work with. He could steal a bowl bid though the offense will need a lot more than 14.8 points per game. East Carolina is the weakest team in the East and they will be in year two of Scottie Montgomery’s reign. They have a tough schedule out of conference (West Virginia, Virginia Tech, BYU) and will probably struggle to top the 3 win total they put up in 2016. The West looks very competitive between Houston, Tulsa, Memphis, and Navy. Any of those four could win the division and even SMU and Tulane look capable of getting a bowl bid. SMU will be in year three with Chad Morris and he has 9 starters back on offense and 5 on defense. They should open 4-1 to give them great confidence to grab the last 2 needed wins. Tulane has a bit more work to do in the second season of Willie Fritz. He has 8 starters on both offense and defense, which looks like a good thing. The offense improved 4.4 points on offense and 8.6 on defense in his first season. Another improvement like that in 2017 and Tulane will be bowling. To summarize, we like South Florida, Temple, Central Florida, and Cincinnati from the East division to make a bowl game. From the West, we like Houston, Tulsa, Memphis, Navy, and SMU to make a bowl game. Those are the 9 we like to make a bowl, but any 9 will do for this prediction. 16. (AAC) – South Florida and Memphis will play in the AAC Championship Game – South Florida is in year one under Charlie Strong and has a great situation on his hands. He walks into 7 returning starters on offense and 9 on defense. Quinton Flowers will lead the offense that put up 43.8 points. Flowers led the team in both passing and rushing last year and could have an even better year. The 2016 defense actually allowed quite a few points at 31.6 per game and 482 yards per game. Now 9 starters are back for Charlie Strong, which should mean a big improvement on that side of the ball. Their toughest games all come at home against Temple, Houston, and Tulsa. The West division is wide open and we will go with Memphis to win it. All the pieces are back on offense for Mike Norvell between quarterback Riley Ferguson, running back Doroland Dorceus, and receivers Phil Mayhue and Anthony Miller. An offense that put up 38.8 points per game in 2016 now has 9 starters back and looks set to put up over 40 points per game. The defense for Memphis has 6 starters back from a group that allowed 28.8 points and 455 yards per game. The top two tacklers, Jonathan Cook (88) and Genard Avery (81), are both back as are 5 of the front 7. The main concern is the secondary, but they do have 2 Oklahoma transfers in the mix. Memphis will have tough road games at Central Florida, Houston, and Tulsa, but winning two of those games would put them in a great position to make their first AAC Championship Game. That concludes the second set of five predictions for the 2017 college football season. Check back next week for predictions 15 through 11. Week 11 saw the numbers two, three, and four all lose to shake up College Football Playoff rankings. Week 12 has some big games with #3 Louisville at Houston, #20 Washington State at #12 Colorado, #13 Oklahoma State at TCU, #21 Florida at #16 LSU, and #8 Oklahoma at #10 West Virginia. We will focus on games that may not appear to offer much at first glance. These games might not have a national impact, but they could affect a team’s bowl chances or a conference title race. Note that these games are listed in order of when they will be played and all times listed are Eastern. 1. 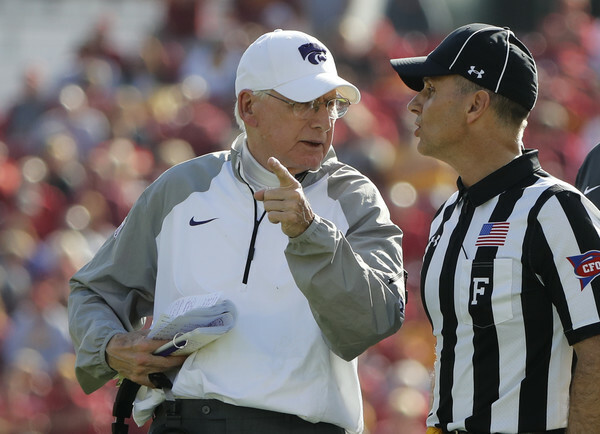 Kansas State at Baylor (11/19 at 12 PM) – This game is a tale of two teams going in opposite directions. Kansas State has gone 2-1 since their crushing defeat to Oklahoma including a 6 point loss to Oklahoma State on November 5. At 5-4, a win for Kansas State will put them in a bowl game. Baylor is 6-3 and have been thoroughly dismantled the last two weeks by a combined score of 46 to 107. They have lost three in a row and also lost Seth Russell to a gruesome injury against the Sooners. They do not have to worry about missing a bowl game, but this is a game where they can try to stem the terrible streak they are currently on. 2. Duke at Pittsburgh (11/19 at 3 PM) – Two teams enter this contest off of massive and surprising victories. Duke defeated then #17 North Carolina at home 28-27 to keep their bowl hopes alive. The Blue Devils are 4-6 overall and need to defeat both Pitt and Miami (FL) to reach a bowl. Pittsburgh comes off the last second shock victory over #2 Clemson. The win put them at 6 victories to reach bowl eligibility, but this was a team that just struggled closing out games, especially on the road. They got it done versus the Tigers and this game will be interesting to see how each team plays off their big upset. 3. San Diego State at Wyoming (11/19 at 3:30 PM) – The Mountain West has two division leaders meeting here. San Diego State has already clinched the West Division and now just awaits to see which team from the Mountain Division they will play. Wyoming was in the perfect spot to win the Mountain Division until last week’s triple overtime loss to UNLV 69-66 on the road. They had defeated Boise State 30-28 on October 29, but the loss erases their cushion. They are tied at 5-1 in MWC play with both Boise State and New Mexico. The Cowboys do control their own destiny as long as they win out against the Aztecs and New Mexico. 4. Northwestern at Minnesota (11/19 at 3:30 PM) – Northwestern’s season has been strange to say the least. They started 1-3 including losses to Western Michigan and Illinois State. They responded with three straight wins before losing to both highly ranked Ohio State and Wisconsin. They crushed Purdue last week to move to 5-5 and the Wildcats have a chance to secure a winning season with wins over Minnesota and Illinois to end the season. That did not seem remotely possible after September. Minnesota has been quietly good this year. They sit at 7-3 overall and their 3 losses have all been by 7 points or less. The Gophers have an outside chance of winning 10 games but must defeat both Northwestern (home) and Wisconsin (road) as well as win their bowl game. That is a tall order, but this team will be a nuisance to end the year. 5. South Florida at SMU (11/19 at 7 PM) – South Florida is still in contention to win the AAC East Division, but they need another loss from Temple to do so. The Bulls lost 46-30 to the Owls on October 21. Their final two games are against SMU and Central Florida (home). They will certainly have a legitimate chance to go 7-1 in AAC play, but that may not be enough. 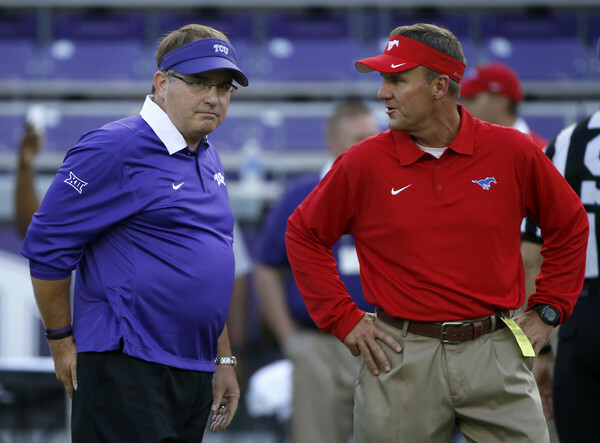 SMU is still alive for a bowl game at 5-5 overall, but their final two games are not easy. They play both South Florida and Navy at home, but those are two of the best teams in the conference. Should they win a game, the Mustangs would play in their first bowl game since the 2012 season. 6. Ole Miss at Vanderbilt (11/19 at 8 PM) – This is a big game for both teams. Ole Miss is coming off their surprising win at Texas A&M last week without Chad Kelly. The Rebels are 5-5 overall and still need to win one of their final two games to make a bowl game (the face Mississippi State next week at home). Vanderbilt has a faint hope of making a bowl game, but will need a lot to go their way. 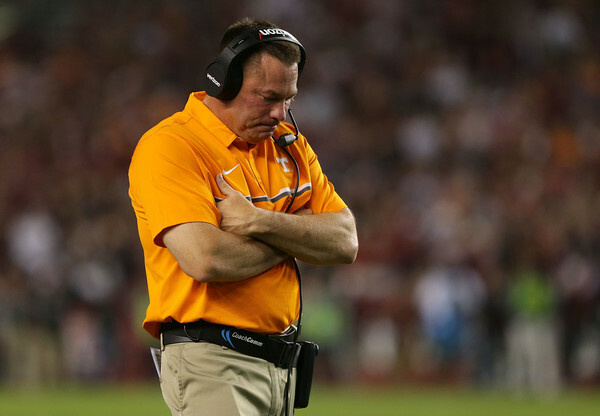 They need to defeat both Ole Miss this week and Tennessee next week. Vandy’s defense will keep them in this game, but it is the offense that will need to come through to give the Commodores the shot at upsetting Tennessee and making a bowl game. 7. Tulsa at Central Florida (11/19 at 8 PM) – Both teams have already hit the 6 win mark and thus will be in a bowl game this year. Tulsa is not likely to win the AAC West (would need both Navy and Houston to lose out in conference play), but at 7-3 could win 10 games for the first time since 2012. Tulsa needs to win out against UCF and Cincinnati along with the bowl game to reach 10 wins. Central Florida is a great story this year. After going 0-12 in 2015, they brought in Scott Frost and he paid immediate dividends by getting them back to a bowl game (UCF is currently 6-4). They could guarantee a winning season with a win against Tulsa or South Florida next week. Check back next week for the week 13 edition of Under The Radar Games. In addition, you can find the previous columns below. We are closing in on the end of the season with about a month until we find out the four teams that will comprise the College Football Playoff. Week 11 is not the best week for games with the best ones being #25 Baylor at #9 Oklahoma, #11 West Virginia at Texas, Pittsburgh at #3 Clemson, #19 LSU at Arkansas, Minnesota at #21 Nebraska, and USC at #4 Washington. 1. Eastern Michigan at Ball State (11/8 at 7 PM) – Some Tuesday MACtion kicks off the week and this column. This game is all about bowl implications with both teams still looking for 6 wins. Eastern Michigan is sitting at 5-4 and have lost 3 of their last 4 games after starting a strong 4-1. The Eagles will want to win this game because their next two are against the suddenly hot Northern Illinois Huskies and Central Michigan. Both of those games are at home, but the pressure will build the longer the season goes. In addition, both of those teams are still alive for a bowl berth. Ball State is currently 4-5 and their road (literally) is just as tough. After this game they face both Toledo and Miami (OH) on the road. Miami (OH) is still alive for a bowl berth at 4-6 while Toledo has a chance at winning the MAC West. This game is big for both schools in terms of a bowl bid. 2. Kentucky at Tennessee (11/12 at 12 PM) – The SEC East is still wide open, which is why this game is crucial. Kentucky still has a glimmer of hope, but needs a lot to go their way to win this division. They own losses to Florida and Georgia, but a win here would put them at 5-3 in conference, in a bowl game, and two Florida SEC losses from a conference title game. Imagine that. Tennessee’s path is clearer and they just need Florida to lose once in SEC play while the Vols need to win out. The Vols end the season with Missouri (home) and Vanderbilt (away) with the latter being the tougher of the two. For as crazy as the SEC East has been this year, are there still a few twists left in the plot? 3. Cincinnati at Central Florida (11/12 at 12 PM) – Bowl hopes are on the line here and both teams are facing a must win. Cincinnati is 4-5 with losses in 4 of their last 5 games while their final two games are against good AAC West foes in Memphis (home) and Tulsa (away). Central Florida, against the backdrop of a horrendous 0-12 season in 2015, sit just one win away from a bowl. They are 5-4, but their final two games are just as difficult as Cincinnati’s. They face Tulsa (home) and AAC East contender South Florida (away). This game is big, but there is the possibility Cincinnati wins this game and both teams lose their final 2 games to finish 5-7. That would be a disaster for the American Athletic Conference. 4. Tulsa at Navy (11/12 at 12 PM) – There is not much on the line here except the outright lead in the AAC West. Both teams have already hit the six win mark with Tulsa at 7-2 and Navy at 6-2. Both teams control their destiny in this division with identical records of 4-1 and Navy could hold a commanding lead with a win over Tulsa. Outside of getting blasted by Ohio State, Tulsa has played well in every game. They lost by a touchdown to Houston, but also went to overtime against Fresno State and SMU. Since that 38-31 loss at Houston, Tulsa has won their last three games by an average of 24.3 points per game. That loss to Houston also means they need to win out against Central Florida and Cincinnati or get another loss from Houston in addition to two more losses by Navy. Navy is coming off their 28-27 win against Notre Dame and they have already beaten Houston this year. Navy needs a win this week and one win in their final two AAC games against East Carolina and SMU to clinch the AAC West Division. Both of those games will be on the road, which may be a little cause for concern because that is where they had their two losses this season (at Air Force and at South Florida). This could be a high scoring affair as both teams have been putting up points. Then again, Navy could just do what they did against Notre Dame and allow only 2 possessions for Tulsa in the final 30 minutes. This should be a good game. 5. North Carolina State at Syracuse (11/12 at 12:30 PM) – Here are two 4-5 teams that will still need quite a lot to go their way if they win. A win will push one team to 5-5 and the other 4-6, but both teams’ final two games will be hard to win. NC State started 4-1 this year, but have lost four in a row including three games by a touchdown or less (Clemson, Boston College, and Florida State). They end with Miami (FL) at home and North Carolina away. If they can get enough offense, they may be able to sneak into an upset, but they must beat Syracuse first. For Syracuse, they have had an up and down season. The offense has looked good at times, though last week against Clemson was terrible. The defense has not been great, but has shown some improvement at times. Both sides will need to be in sync with games against Florida State (home) and Pittsburgh (away) to end the season. 6. UT-San Antonio at Louisiana Tech (11/12 at 3:30 PM) – The C-USA West Division will be on the line here. UTSA is 5-4 overall and 4-2 in C-USA while Louisiana Tech is 7-3 overall and 5-1 in C-USA. UTSA is playing really well the last five games with a 4-1 record and their lone loss was a 52-49 to UTEP that went to five overtimes. Their win against Middle Tennessee last week was impressive as they won by 20 points on the road and considering UTSA has struggled away from home this year. A win here puts them in their first bowl game in their short history and in first place of the C-USA West. Louisiana Tech has been on fire the last six weeks, which have all been wins. Five of those games have been blowouts and the close game of those was a 55-52 win over Western Kentucky. Even their 1-3 start is deceiving because they lost 21-20 at Arkansas, demolished FCS South Carolina State, lost 59-45 at Texas Tech, and lost 38-34 at Middle Tennessee. A win here does not completely clinch the C-USA West because Southern Miss has only 2 losses in conference play. 7. Appalachian State at Troy (11/12 at 3:30 PM) – What a game we have here in the Fun Belt. 7-2 Appalachian State (5-0 in SBC) and 7-1 Troy (4-0 in SBC) meet in one of the biggest conference games of the year. Appalachian State has a strong defense and they will be put to the test against Troy’s offense that averages 39.4 points per game and have scored at least 31 points in six of their eight games (6-0 in those games). Appalachian State’s defense has given up 19.6 points per game and just 8.4 points per game in Sun Belt games. A win for Appalachian State would pretty much put them in position to win the Sun Belt or at worst tie for the title. Their final two games are against UL-Monroe (home) and New Mexico State (away). Troy’s final four games are daunting. They face Appalachian State, fellow Sun Belt undefeated Arkansas State (home), Texas State (away), and Georgia Southern (away). Keep an eye on this game to see which side can gain the upper hand. 8. South Florida at Memphis (11/12 at 7 PM) – The third AAC game to make an appearance this week and this one also has possible conference title game implications. South Florida is 7-2 overall while Memphis is 6-3 overall. South Florida, which already holds a loss to Temple, is 4-1 in the AAC East and needs Temple (5-1 in the AAC) to lose another game while winning out to win the AAC East. They face SMU (away) and Central Florida (home) in their final two games so their last three games in total will not be easy wins. Memphis is 3-2 in the AAC and are a long shot to win the AAC West division having lost to both Navy and Tulsa already this year. Still, this is a solid team that could ruin South Florida’s AAC hopes if they are at their best. Memphis also faces Cincinnati (away) and Houston (home) to end the year so this could be a chance to build momentum heading into the bowl season. Check back next week for the week 12 edition of Under The Radar Games. In addition, you can find the previous columns below. After a great opening week there was a lull in the big games during week two, but that gives way to some top games in the third week. #2 Florida State at #10 Louisville, #1 Alabama at #19 Ole Miss, and #3 Ohio State at #14 Oklahoma are the headliners this week. There are also other good contests like #25 Miami (FL) at Appalachian State, #22 Oregon at Nebraska, Pittsburgh at Oklahoma State, and USC at #7 Stanford. We look for those small headliners that are worth keeping an eye on both this week and possibly down the road with their impact on the season. Let’s take a look at some of the under the radar games for week three. Note, these games are listed in order of when they will be played. 1. Vanderbilt at Georgia Tech (9/17 at 12:30 PM EST) – This game is big for both schools in regards to making a bowl game this year. Georgia Tech can improve to 3-0 with a win heading into their ACC schedule and would need just three wins in their final 9 games to reach a bowl game. As for Vanderbilt, they are 1-1 after seeing their opening week game slip away to South Carolina. They rebounded on offense to put up 47 points against Middle Tennessee with Ralph Webb running wild to the tune of 211 yards and 2 touchdowns on 29 carries. The key for both teams will be third down. For the season, the Vanderbilt offense is 8 of 27 on third down and they are facing a Georgia Tech defense that has allowed 16 of 32 on third down. It could also be a low scoring affair given the amount of carries both offenses will feature. 2. South Florida at Syracuse (9/17 at 3:30 PM EST) – South Florida made an appearance on this last week with their game against Northern Illinois. They crushed the Huskies 48-17 just as they did Towson in week one, 56-20. Syracuse opened with a 33-7 win over Colgate before getting dominated 62-28 by Lamar Jackson and Louisville at home. The Orange will not have to worry about facing a guy like Jackson this week, but they do have to contend with Quinton Flowers. Flowers threw for 350 yards with 4 touchdowns and ran for another 53 yards on the ground against NIU. South Florida also held that NIU offense to 318 total yards as well as 5 of 18 on third down. The Orange did move the ball well against Louisville, but will need to have the defense step up if they are to keep this game close and have a chance at winning. 3. Western Michigan at Illinois (9/17 at 4 PM EST) – Welcome back, Western Michigan. They were featured in this season’s opening column and did not disappoint with a 22-21 win over Northwestern. They decimated North Carolina Central in week two 70-21 to move to 2-0. Illinois started with a 52-3 win over Murray State in week one and then lost 48-23 to North Carolina in week two. They hung close with the Tar Heels for most of the game, but gave up the final 17 points in the fourth quarter. The Broncos are actually favored in this game (by 3 points as of this writing). 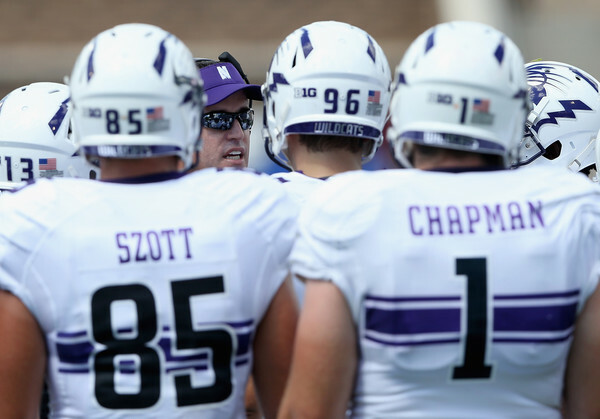 They will not have to worry about facing a tough defense like Northwestern in week one. However, they are facing a better offense this time around than they did in the opening week. Wes Lunt can sling the ball, but he did not look too solid against North Carolina throwing for only 127 yards and 2 touchdown on 17 of 35 passing. Like opening week, this should be a good game to watch and Western Michigan could make it 2-0 against the Big 10 this year. 4. Georgia at Missouri (9/17 at 7:30 PM EST) – Georgia has looked underwhelming this year with a 33-24 win over North Carolina in week one and then squeaking past FCS Nicholls State 26-24 last week. Missouri struggled against West Virginia in their 26-11 loss on the road, but bounced back to trounce Eastern Michigan 61-21 at home last week. This will be the fifth meeting of these two teams since Missouri joined the SEC in 2012. Georgia is 3-1 in those games and they have beaten Missouri handily in both games at Missouri. They won 41-20 in 2012 and 34-0 in 2014. It is difficult to call any game in the SEC a trap game, but this could be it. Georgia faces Ole Miss on the road next week while Missouri faces Delaware State. 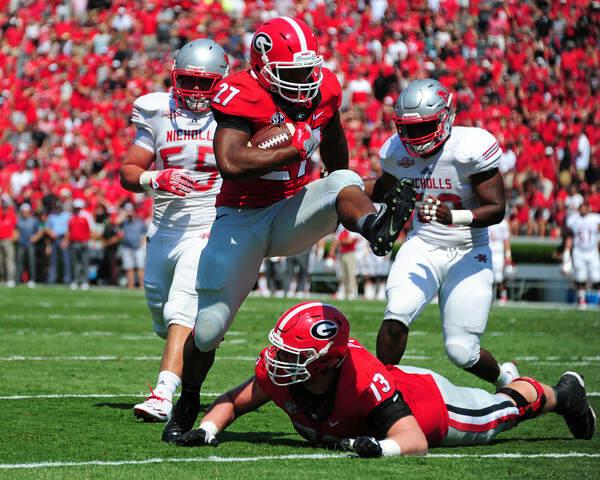 Will Georgia get the running attack going like they did against North Carolina when Nick Chubb ran for 222 yards and 2 touchdowns? How will the defense handle Missouri’s Drew Lock who happens to be the SEC’s leading passer after two weeks? This game could be pivotal in what appears to be another wide open SEC East race. 5. Duke at Northwestern (9/17 at 8 PM EST) – This is a game of what could have been. Duke lost quarterback Thomas Sirk before the season and then lost by 10 points to Wake Forest in week two as they sit at 1-1. Northwestern has been even worse. They lost to both Western Michigan and Illinois State with the offense looking particularly bad against ISU. They lost running back Justin Jackson to a “lower-body injury” in the ISU game, but he is expected to play in this game. The Northwestern offense looked bad against Illinois State and are just 9 of 28 on third down this year. This game could be ugly especially on the offensive side of the ball. If Jackson is not able to make an impact and the Duke running game cannot get going, it could be even worse. This is a big game at this point in the season for both teams given their schedules the rest of the season. 6. FCS Teams versus FBS Teams – Getting sick of seeing this one yet? Well, it will stick around for at least this week. After four wins in the opening week, there were three more FCS victories over FBS opponents in week two. This week features a total of 12 FCS versus FBS teams and there are some games that look like possible victories for the FCS. The most likely upsets are Eastern Kentucky at Ball State, Monmouth at Kent State, and Delaware at Wake Forest. In addition, North Dakota State (winners of five straight games versus FBS opponents) face Iowa on the road. Will a team have their name added to the list below? Check back next week for the week four edition of Under The Radar Games. In addition, you can find the previous columns below. The first full weekend of college football is in the books and it was exciting. Two top five teams went down with #15 Houston defeating #3 Oklahoma 33-23 and unranked Wisconsin beating #5 LSU 16-14. While there are not nearly as many marquee games after the opening week feast we were given, there are still some interesting matchups in the second week of games. Without further ado, let’s take a look at some of the under the radar games for week 2. Note, these games are listed in order of when they will be played. 1. Penn State (1-0) at Pittsburgh (1-0) (9/10 at 12 PM EST) – An intrastate battle ensues with Penn State traveling to face Pittsburgh. This will be the first game between the two rivals since 2000 when Pittsburgh won 12-0 at home. These two teams are scheduled to meet each year from 2017 through 2019 as well so there will not be a long hiatus for the time being. The Nittany Lions won their opening game against Kent State at home, but did not put them away until the second half. They led 16-13 at the break, but won comfortably 33-13 with Saquon Barkley finishing with 105 yards and a touchdown on 22 carries. 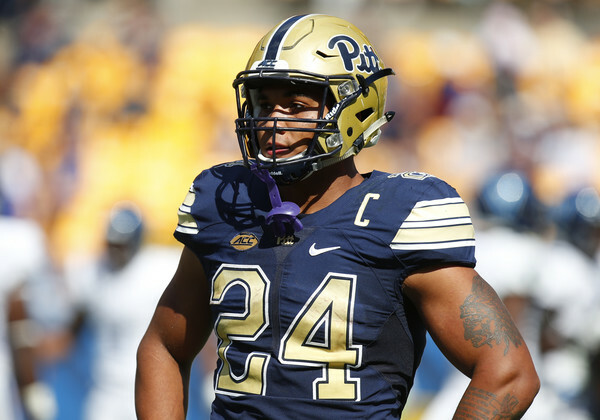 The Panthers won 28-7 over Villanova in a game that saw James Conner return from his cancer battle to score a touchdown. This game has a feel of run first and gritty defense being played. It might be a low scoring and drab affair, but there is nothing wrong with a game like that if it is close. 2. Cincinnati (1-0) at Purdue (1-0) (9/10 12 PM EST) – Both teams won last week against FCS opponents. Cincinnati trailed Tennessee-Martin 7-6 at halftime before pulling away in the fourth quarter to win 28-7. Purdue defeated Eastern Kentucky 45-24 with over 500 yards of offense and four takeaways on defense. Can the Boilermakers make that same recipe to defeat Cincinnati? Or will the defense struggle like they did in the first half when they allowed 284 yards of offense to Eastern Kentucky? This could be a game for Cincinnati to get the offense going, but also could be a game for Purdue to gain some confidence going towards their Big 10 schedule. 3. Rice (0-1) at Army (1-0) (9/10 12 PM EST) – This game could be important to both team’s season. Rice is coming off a walloping at the hands of Western Kentucky 46-14 and their next opponent is Baylor. Army defeated Temple on the road 28-13 with a great effort and they are looking to get back to a bowl game for the first time since 2010. Rice better have their run defense in top form because that is nearly all they are going to see against Army. A loss here and Rice starts 0-3 while an Army win may seem them start 3-1 or even 4-0. 4. Kentucky (0-1) at Florida (1-0) (9/10 3:30 PM EST) – This is probably the last opponent Kentucky wants to see right now because they have not beaten Florida since 1986. In addition, Kentucky has not won in Gainesville since 1979. Oh and they blew 35-10 second quarter lead last week in their 44-35 loss to Southern Miss. That, however, was just a microcosm for Kentucky in the past two seasons when they began 5-1 in 2014 and 4-1 in 2015 only to finish 5-7 both seasons. Florida looked putrid on offense for much of their game against Massachusetts. They clung to a 10-7 lead until nearly 11 minutes remained in the game. They did win 24-7, but it was hardly convincing. Both teams have a lot of work to do and there is potential for Florida to get something going on offense against this Kentucky defense. The same can be said for that Kentucky defense against Florida’s offense. We shall see which side wins that battle. 5. Georgia Southern (1-0) at South Alabama (1-0) (9/10 7 PM EST) – Probably did not expect this, right? Well, this game looks a lot bigger now than it did a week ago. Georgia Southern had no issues with Savannah State as expected, but the big shock was South Alabama. They went to Starkville and upset Mississippi State 21-20 as four touchdown underdogs. How will they ride that wave of confidence against one of the preseason favorites in the Sun Belt? This could have a big impact on the Sun Belt race by season’s end. 6. Northern Illinois (0-1) at South Florida (1-0) (9/10 7 PM EST) – This was a game that looked pretty interesting during the preseason. NIU lost their opening game on the road to Wyoming 40-34 in triple overtime after the start was delayed nearly two hours due to storms. South Florida had no trouble with FCS Towson winning easily by a score of 56-20. Both teams are expected to be contenders to make their respective conference championship games in December. It is worth watching to see how Drew Hare and the Northern Illinois offense can fare against the USF defense that forced four turnovers and allowed less than 300 yards last week. 7. FCS Teams versus FBS Teams – As mentioned in last week’s edition, this is always worth keeping an eye on and it did not disappoint. There were four upsets from last week’s 46 FCS versus FBS games. There are 29 games featuring FCS versus FBS opponents in week two and a few more upsets look possible. Check back next week for the week three edition of under the radar games. The 2016 College Football season is right around the corner and that means prediction time. 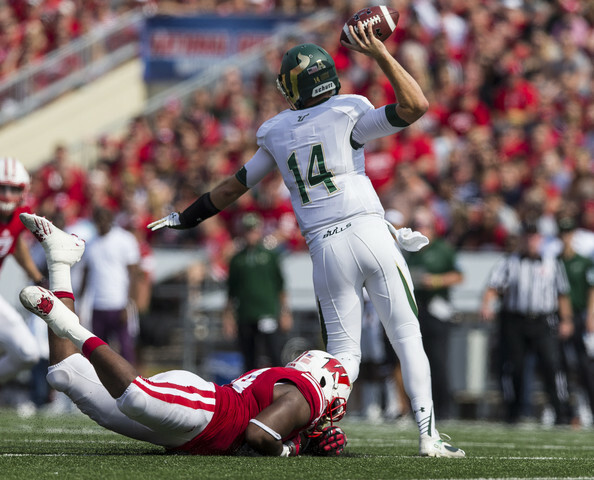 Below are five predictions for American Athletic Conference for the 2016 season. Some predictions will be right, some predictions will be wrong, and some will be spectacularly awful (or correct) by the end of the season. There are no changes to the American Athletic Conference as the twelve teams remain the same. The East division is composed of Central Florida, Cincinnati, Connecticut, East Carolina, South Florida, and Temple. The West division is made up of Houston, Memphis, Navy, SMU, Tulane, and Tulsa. 1. SMU will win at least four games in 2016 – The Mustangs were hit hard in 2014 when they tumbled to 1-11 while losing June Jones early in the season as he left the program. Chad Morris came in for 2015 and he worked wonders with an offense that put up only 11.1 points and 269 yards per game in 2014. Last year, the offense went up to 27.8 points and 383 yards per contest. There are nine starters back from that side of the ball and there is no reason that the offense cannot continue the upward trend. The defense needs a lot of work as they gave up 45.7 points and 502 yards per game last year. They have seven starters back, but the second year of schemes should improve those numbers. SMU will face the duo of North Texas and Liberty in the first three weeks. They also have toss-up games (but still winnable) against Tulane, Tulsa, and East Carolina with all three of those on the road. Any type of improvement on defense in 2016 should result in more than two wins for the Mustangs. 2. 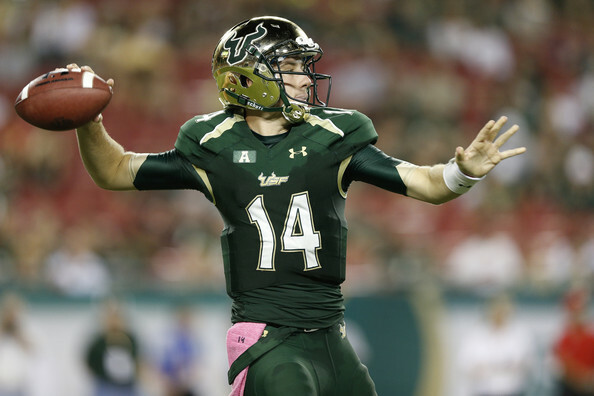 South Florida will win the East Division – This will not be an easy task for USF, but they can certainly do it. They have seven starters back on both offense and defense that saw solid gains from 2014 to 2015. The offense went from 17.2 points and 305 yards per game to 33.6 and 442 in 2015. The defense went from 27 points and 403 yards per game in 2014 to 22.9 and 380 yards in 2015. Both sides of the ball will be tested early in the season as the Bulls face Northern Illinois at home, Syracuse on the road, and Florida State at home in weeks two through four. In conference, they also have a tough schedule as they will play Cincinnati, Temple, and Memphis all on the road. The return of their dual quarterback Quinton Flowers (2,296 yards passing and 991 yards rushing), running back Marlon Mack (1,381 yards and 8 touchdowns), the top receiver Rodney Adams (45 catches for 822 yards and 9 touchdowns), and five of their top 6 tacklers from 2015 will help navigate the team through their tough schedule. 3. Houston will win the West Division and Conference title – This is not going out on much of a limb. The Cougars exploded last year under the first year of Tom Herman’s offensive schemes to the tune of 40.4 points and 484 yards per game. The defense was just as impressive giving up 20.7 points and 384 yards per game. In 2016, the offense returns six starters including Greg Ward at quarterback, which is good news because he led the team in rushing with 1,108 yards and 21 touchdowns. The defense will have five starters back and the biggest concern has to be the back five in this nickel scheme. There is only one starter returning from the secondary that allowed 275 yards passing per game and 55.6% completions. Luckily, the front six allowed just 109 yards per game and four starters are back. Houston will have to contend with games on the road against Cincinnati, Navy, and Memphis a year after being the duo of Cincinnati and Memphis by a total of four points at home. It will not be easy to repeat, but this Houston team looks very capable of having another excellent season. 4. Connecticut will have winning season – The Huskies have quite a bit going for them in 2016. They will be in year three of Bob Diaco’s tenure, have ten starters returning on offense, six starters back on defense, and a very manageable schedule. The defense improved dramatically from 2014 to 2015. They allowed 29.8 points and 379 yards in 2014 and then 19.5 points and 355 yards in 2015. The six starters returning this year are joined by the talented Florida State transfer EJ Levenberry at linebacker. The offense made a tiny improvement from 15.5 points and 276 yards per game in 2014 to 17.2 points and 310 yards in 2015. The team managed to improve to the record from 2-10 to 6-7 (including a bowl loss to Marshall). The offense will have to continue to improve in 2016, but having 10 starters back and the third year of recruits leaves no room for excuses. The schedule is ripe for the Huskies to have their first winning season since 2010. They open with Maine, but also face ACC opponents Virginia, Syracuse, and Boston College through the season all of whom finished 4-8 or worse. In conference, they have games against Central Florida, East Carolina, and Tulane that are winnable. They face Navy, Houston, Cincinnati, South Florida, and Temple, but the defense should be solid enough to keep them in most games and an upset or two is definitely plausible (see their 20-17 win over Houston last year). 5. The Three “T” teams (Tulsa, Tulane, and Temple) will win at least 20 games combined – The idea that each team has to win at least 7 games (including bowls) seems pretty straight forward, but Tulsa and Tulane both play in the very strong West division. Tulsa will be in their second year under Philip Montgomery with seven starters back on offense and defense. Tulane went 3-9 in 2015, but now have a new head coach in Willie Fritz and he is changing offensive schemes (check out his Sam Houston State teams from 2010 through 2013). The defense for Tulane will be solid with eight starters back, but the offensive change is worrisome in regards to the win column. Temple is the best of these three teams and went 10-4 last year, but had 19 starters back. There will be six starters back on both offense and defense including quarterback PJ Walker an running back Jahad Thomas. The defense will be very solid again under Matt Rhule and they have an easy schedule to open the season outside of Penn State on the road (they did win against the Nittany Lions at home in 2015) with Army, Stony Brook, and Charlotte all at home. 9 wins are probably needed by Temple to be correct. They have the defense to do it. This one will be close especially if Tulsa (or Temple) under-performs. With the AAC predictions above, there are now predictions for five conferences in the books. Below are the predictions completed and which conference is next. The Big Ten opened the season with an 8-6 record in the first week of the season while the conference went 12-2 in the second week headlined by a massive win at home for Michigan State against Oregon. The Big Ten had its first conference game in week 3 with Penn State taking on Rutgers at home. Illinois took a huge step up in competition from their first two games and it showed. They struggled in all phases of the game in a 48-14 blowout loss. Wes Lunt struggled passing, as he connected on just 15 of 32 passes for 140 yards with no touchdowns and an interception. The one bright spot was Josh Ferguson, who ran for 133 yards and a touchdown on 22 carries. The defense was horrendous against Marquise Williams, who had 203 yards with 3 touchdowns and a pick on 17 of 24 passing. Williams also ran for 105 yards on 9 carries while Elijah Hood had 129 yards and a touchdown on 16 carries. Ryan Switzer led the Tar Heels on the special teams front with a nice 85 yard punt return for a touchdown and he also caught 3 passes for 50 yards and a touchdown through the air. Illinois found out they will need to be far better to contend in the Big Ten West division. They have their final non-conference game next week at home against Middle Tennessee. They will have to fix their big issues in that game before the Big Ten conference schedule begins in October. Maryland lost running back Wes Brown early in the second quarter due to a targeting call, but Brandon Ross stepped up for 68 yards and a touchdown on 18 carries. The duo of Levern Jacobs (8 catches for 107 yards) and Taivon Jacobs (2 catches for 82 yards and a touchdown) led the Terps in receiving. Avery Edwards had 3 catches for 36 yards and 2 touchdowns. The defense looked better and the first touchdown was hardly their fault as the USF offense started at the Maryland four yard line. The Terps did struggle against the run as they allowed 240 yards and a touchdown on 50 carries. However, they allowed only 60 yards and a touchdown through the air to USF, which helped them win this game. Sean Davis picked off two passes for Maryland with his second setting up a touchdown for the offense. Maryland looked better this week, but they are going to be tested again next week against rival West Virginia with the game in Morgantown. The Wolverines improved to 2-1 on the season, but it was not pretty once again. Jake Rudock went a paltry 14 of 22 for 123 yards with a touchdown an interception. The interception did not lead to anything, but it was Rudock’s fifth of the season – the same amount he threw in all of 2014. The Michigan running game was strong against UNLV with 39 rushes for 254 yards and 3 touchdowns as a team. Ty Isaac led the way with 114 yards and a touchdown on 8 carries. The touchdown came on a nice 76 yard dash to the end zone. Jehu Chesson had one rush that resulted in a 36 yard touchdown while De’Veon Smith was held to 33 yards on 13 carries. Smith did catch a five yard touchdown as well. The Michigan defense was stout again this week giving up 235 total yards with 143 through the air and 92 on the ground. The defense allowed only 88 yards of offense in the first half while Channing Stribling’s interception on the opening drive allowed the offense to get a head start early on. Michigan has played well at home the last two weeks and the defense looks particularly stingy. They will have to be really good next week with BYU coming into the Big House. Michigan State played well in the first half to race out to a big lead over Air Force, but there were some concerns out of this game. One of them was not Connor Cook. Cook threw for 247 yards and 4 touchdowns on 15 of 23 passing and found a new favorite target in Aaron Burbridge, who had 8 catches for 156 yards and 3 touchdowns. R.J. Shelton had a solid game with 5 catches for 68 yards as well. The Spartans did not run the ball well at all with just 77 yards on 42 carries as a team. Madre London was the top rusher with 40 yards on 17 carries. The defense gave up a lot of yards on the ground to Air Force, which is not really a surprise given the triple option offense they run. What was shocking was the amount of passing yards they gave up. Karson Roberts only went 6 of 9, but had 149 yards with a touchdown and an interception. Several of those completions showed wide open Air Force receivers including two passes to Jalen Robinette, who had no one around him. Considering Robinette is the biggest passing threat for Air Force, that is inexcusable for the Spartans. The defense did play well for most of the first half as they built a 28-7 lead at the break. Kicker Michael Geiger had a kick blocked late in the second quarter on a low attempt. Michigan State stays home for their final non-conference game with Central Michigan visiting. Minnesota struggled mightily against Kent State in a sloppy 10-7 win. Both teams struggled on offense (as if the score was not an indication) with neither team have more than 300 yards of total offense. Mitch Leidner went 17 of 27 for 184 yards with a touchdown, but also threw 2 interceptions. Both of those picks were in the first half and did not result in points for Kent State. Rodney Smith had a hard time getting big chunks of yards as he finished with 73 yards on 30 carries. The defense did very well in this game giving up only 142 yards with 63 through the air and 79 on the ground. Incredibly, the Kent State offense did not run a play in Minnesota territory until the fourth quarter. One Kent State player who deserves a massive shout out is Demetrius Monday. Monday had both of Leidner’s interceptions and also returned a fumble 80 yards for a touchdown. He played incredible during this game. Minnesota faces Ohio next week at home in their final non-conference game. It was an ugly win for Northwestern on the road at Duke, but all wins count the same. A massive second half from the offense and special teams spurred them to a 3-0 record. The Northwestern offense had only 57 yards on their first nine drives, which encompassed the entire first half. Their first drive of the second half resulted in 53 yards and a field goal. Clayton Thorson struggled at times and he finished the game going 9 of 23 with just 70 yards through the air. He also had 2 interceptions, both of which were poor decisions with multiple defenders in the area. Justin Jackson ran for 120 yards on 35 carries while Warren Long’s 55 yard touchdown run helped put the Wildcats up for good. The defense gave up a touchdown early in the first quarter after an interception by Thorson, but they allowed just a field goal the rest of the game. Defensive end Dean Lowry had a big game and picked off a pass with Duke in the red zone late in the second quarter to keep it a 7-0 game. The defense allowed 327 yards of offense to Duke, but did not allow them to get into a rhythm at all during the game. The special teams were also huge as Solomon Vault took the opening kick of the second half 98 yards to the house. They missed the extra point on the ensuing try, but Jack Mitchell was also two-for-two on his field goal attempts. The Wildcats continue to be stifling on defense and will face Ball State at home next week. This was an odd game. Miami looked well on their way to a big win as they led 33-10 early in the fourth quarter. Nebraska made a furious rally to tie the game at 33 and send the game into overtime. However, Nebraska fell short in overtime as they lost 36-33. Nebraska could not get anything going in the first half as they tallied 137 yards of offense and only three points. Tommy Armstrong had another good game with 309 yards, 4 touchdowns, and 3 interceptions on 21 of 45 passing. He also ran for 49 yards on 11 carries while Terrell Newby had 82 yards on 14 rushes. Armstrong was able to lead Nebraska to 23 fourth quarter points including the game tying drive with an 8 yard pass to Stanley Morgan (had 4 catches for 78 yards and a score) and the 2 point conversion to Jordan Westerkamp (5 receptions for 95 yards and a touchdown). The defense looked lost early on as they were blitzed in the first quarter with 17 points allowed on Miami’s first three drives. They were better in the fourth quarter as the team made its comeback. The defense allowed 511 yards in this game, but held the Hurricanes to 3 of 14 on third down. Nebraska will have to find a way to bounce back off a second devastating loss this year and they have Southern Miss next week at home to help. Ohio State played an ugly game against Northern Illinois, but survived in their bid to win a second straight national title. The quarterback play was uneven once again with Cardale Jones going 4 of 9 for 36 yards, but also had two interceptions. He was replaced by JT Barrett, who did better, but was also not overwhelming. He went 11 of 19 for 97 yards with 1 touchdown and an interception. Ezekiel Elliott ran for 108 yards on 23 carries while Michael Thomas was the top wide receiver with 3 catches for 60 yards and a touchdown. The Buckeyes put up only 298 yards of offense while they committed five turnovers that led to 10 NIU points. It was an incredibly poor performance and the Buckeyes also went only 2 of 13 on third down. The defense was strong in this game allowing only 190 yards of offense to NIU with 80 through the air and 110 on the ground. Darron Lee had a 41 yard pick six that ultimately proved to be the game winning score. The defensive line was disruptive as well during the game as the defense bailed out a putrid offensive performance. Sometimes a team just has to win and survive and that appears to be the case for Ohio State. They have another MAC team next week at home again in Western Michigan. Purdue had a massive test at home against Virginia Tech and were clearly not up to par, but did show some flashes on offense. Austin Appleby struggled going 9 of 28 for 110 yards with no touchdowns and 2 interceptions. Appleby also ran 13 times for only 11 yards, but had a rushing touchdown. Markell Jones had a big day thanks to his 60 yard touchdown run in the fourth quarter. The offense did struggle against the Virginia Tech defense as they only converted 2 of 15 third down conversions and had three turnovers with the fumble being returned for a touchdown by Virginia Tech. The defense struggled as well giving up 471 yards of offense and allowing 7 of 16 third down conversions to Virginia Tech. The defense did get a 90 yard fumble return for a touchdown via Danny Ezechukwu that gave Purdue a 14-10 lead. The special teams unit had a punt blocked and it was returned for a touchdown by Virginia Tech. Purdue has another stiff test next week at home against Bowling Green. It will test their defense again with the high-powered Falcons offense. The Wisconsin Badgers were without Corey Clement for a second straight game due to a groin injury, but they had little trouble defeating Troy. The score was not flashy, but they were dominant particularly on defense. Joel Stave was very efficient going 13 of 17 for 202 yards and a touchdown while also having a rushing touchdown from 4 yards out. Taiwan Deal and Dare Ogunbowale split carries in the absence of Clement. Deal led the team with 84 yards on 16 carries while Ogunbowale had 75 yards and a touchdown on 14 carries. Tanner McEvoy saw some action at quarterback in the wildcat and he had a nice 32 yard touchdown run to finish the day with 41 yards on 2 carries. Alex Erickson was the leading receiver with 3 catches for 87 yards while Robert Wheelwright had 2 grabs for 50 yards. Tight End Austin Traylor had 2 catches for 39 yards and a touchdown with both of those catches coming late in the fourth quarter. The offense will need to work on the 3 for 10 on third down conversions, but there was more signs of life on the offensive line and in the running game. The defense was stout with only 255 yards of offense given up. They held Troy to 81 yards rushing on 33 carries and 174 yards passing through the air. The defense forced only one turnover and allowed 7 of 16 on third down conversions. Overall, the defense was very good in this game. Wisconsin has Hawaii next week at home in their final non-conference tune up. Indiana had a massive third quarter that allowed them to win another shootout. They survived a 35 of 46 for 484 yards and 3 touchdowns passing performance from Western Kentucky’s Brandon Doughty. The offense looked good for Indiana as Nate Sudfeld threw for 355 yards and 3 touchdowns on 20 of 27 passing. Jordan Howard ran wild with 203 yards on 31 carries and Devine Redding had 79 yards and a touchdown on 23 carries. Ricky Jones had his second 100 yard performance of the season with 5 catches for 126 yards and a touchdown. The offense finished with 639 yards and went 8 of 12 on third down. As usual, the defense is the worry for Indiana. They allowed 9 catches for 196 yards and a score from Taywan Taylor while Tyler Higbee had 11 catches for 109 yards and a touchdown. They allowed a total of 568 yards of offense, but did force two interceptions out of Doughty that were turned into 14 points. It will probably need to be the offense that gets the job done for Indiana as their defense will struggle. They face Wake Forest next week on the road in a big game for Indiana’s bowl hopes in 2015. The first Big Ten conference game of the season resulted in an easy win for the Nittany Lions. Penn State quarterback Christian Hackenberg was not overly impressive going just 10 of 19 for 141 yards with no touchdowns and a pick, but the rushing game sure was for PSU. Saquon Barkley carried the ball 21 times for 195 yards and two touchdowns while Akeel Lynch ran for 120 yards and a score on just 10 carries. Those two were very impressive as was the offensive line that paved the way for them. Rutgers, on the other hand, could not run the ball as they managed just 43 yards on 32 carries as a team. Chris Laviano had a little success through the air, but was largely stymied by the Penn State defense. Laviano finished 27 of 42 for 251 yards with no touchdowns and 2 interceptions. Rutgers defense was not very good as they allowed 491 yards to Penn State. Rutgers faces Kansas next week in their third non-conference game. Penn State takes on San Diego State at home next week. I was able to take a 10 point lead into halftime, but needed a last second, 57 yard field goal from Marshall Koehn to win the game 27-24. C.J. Beathard had a decent game going 27 of 40 for 258 yards with no touchdowns and an interception. It largely fell on him to get the big plays as the rushing offense managed 105 yards on 29 carries. Jordan Canzeri had 12 carries for 49 yards and 2 scores while Beathard had 39 yards and a touchdown. Beathard led the Hawkeyes late in the game to set up Koehn’s 57 yard field goal. The defense played a solid game giving up 282 yards and held the Panthers to just 55 yards on the ground. They forced two picks from Pittsburgh on their first two drives including one in the end zone. Desmond King came up with both of the interceptions and now has three on the season. The defense will be important for Iowa to continue strong start. North Texas will visit next week in Iowa’s final non-conference game. Check back next week for the round up of the Big Ten action in week four. Part seven of the Sports Enthusiasts’ College Football Preview delves into The American with a specific look at the East Division. Below is a schedule of the 2015 College Football Preview. Let’s take a closer look at the AAC’s East Division. It has been a wild ride for the Temple football program. They have gone from the Big East in 2004 to Independent status in 2005 to the MAC from 2007 through 2011. They then went back to the Big East for the 2012 season before the name change to The American beginning in 2013. Matt Rhule is in his third season and led Temple to a 2-10 record in 2013 before improving them to 6-6 last year. 2015 will easily be Rhule’s most experienced team. He has nine starters back on offense and the biggest loss was top wide receiver Jalen Fitzpatrick. Fitzpatrick had 53 catches for 730 yards and 6 touchdowns in 2014. Quarterback PJ Walker returns after putting up 2,317 yards with 13 touchdowns and 15 interceptions last year. Walker was more inconsistent last year than in 2013 and he will need to develop some receivers to have a better season. Running back Jahad Thomas ran for 384 yards as the top rusher in 2014, which will need to be improved upon drastically. He could be replaced by freshman TJ Simmons or sophomore Zaire Williams. With all five starters back on the offensive line, there should be no reason the offense cannot produce the highest output under Rhule. In 2014, the defense made the biggest strides under Rhule. They gave up 17.5 points and 347 yards per game last year after giving up 29.8 points and 474 yards in 2013. 2015 could be even better with 10 starters back. There is not much to say about the defense other than their only loss was at strong safety, but the replacement, Will Hayes, started seven games in 2014 at three different positions. Linebacker Tyler Matakevich was easily the team’s leading tackler after recording 117 stops, 1.5 sacks, 9 tackles for loss, 3 pass breakups, and an interception. The defense will be excellent again in 2015. Temple opens the season with a home game against Penn State (Rhule’s alma mater) before back-to-back road games against Cincinnati and Massachusetts. They face Charlotte on the road after a bye week and also have Notre Dame coming to town on Halloween to complete their non-conference schedule. They have to play Memphis from the West, but get them at home and also get SMU (road) and Tulane (home) from the West Division. As for the East opponents, they will face Cincinnati and East Carolina on the road while facing Central Florida at home. It is weird to say this, but Temple looks like the team to beat in the East with their defense. George O’Leary has been magnificent at Central Florida including leading the Knights to the 2013 Fiesta Bowl victory over Baylor. 2014 was a step back for UCF, but 2015 could go either way. The offense returns five starters, but the big losses were at wide receiver where the top four from 2014 are gone. The biggest loss is Breshad Perriman after his 50 catches for 1,044 yards and 9 touchdowns. UCF does return quarterback Justin Holman and he threw for 2,952 yards with 23 touchdowns and 14 interceptions. Also returning are running backs William Stanback (697 yards and 10 touchdowns) and Dontravious Wilson (347 yards and 3 touchdowns). Three linemen also return and the offense could do well this year if a few receivers are developed. The defense has only four starters back in 2015 after giving up 19.2 points and 299 yards per game last year. The strength this year will be on the defensive line with three starters returning after giving up only 104 yards rushing and 3.2 yards per carry in 2014. Thomas Niles will be one of the ends after recording 49 tackles, 7.5 sacks, and 5.5 tackles for loss last year. They will need to be solid because the back seven return only one starter in linebacker Chequan Burkett. He recorded 40 tackles, 1.5 sacks, and 3.5 tackles for loss last year. The secondary losses 148 career starts as well as all four starters, which is going to hurt the Knights. It will be tough to produce the same overall numbers in 2015 as they did in 2014. Central Florida opens with Florida International (home), Stanford (road), Furman (home), and South Carolina (road) to start the season before beginning AAC play. From the West, they will play Tulane and Tulsa on the road while getting Houston at home. In division play, they will have Temple and Cincinnati at home and play East Carolina at home. O’Leary has stout defenses even when there are not a lot of starters returning (i.e. 2011 with 4 starters returning UCF allowed 18.3 points and 303 yards per game). That makes UCF dangerous to contend for the division title. 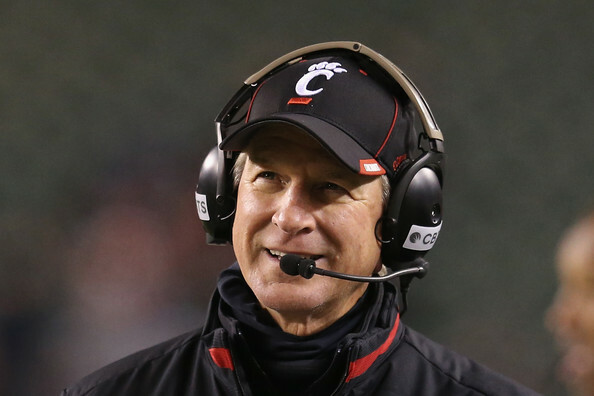 Tommy Tuberville left Texas Tech after the 2012 season to come to Cincinnati. 2015 will be his third year and he has led the Bearcats to a record of 9-4 in each of this first two seasons. 2015 is also a season of change for The American Conference, as they are now divided into two divisions. How will Tuberville do in the inaugural season of the East? On offense, there are eight starter back this year led by quarterback Gunner Kiel. Kiel threw for 3,254 yards, 31 touchdowns, and 13 interceptions despite some injury issues and he will have seven of his top eight receivers back from 2014. The top threats are Shaq Washington, who had 66 catches for 761 yards and 4 touchdowns and MeKale McKay, who had 44 catches for 725 yards and 8 touchdowns. Mike Boone returns at running after running for 650 yards with 9 touchdowns as a freshman despite being the #2 guy. The offense will be explosive again in 2015. The defensive side of the ball sees only five starters return with the bulk of the losses coming in the front seven. Only Silverberry Mouhon returns on the line after recording 45 tackles, 4 sacks, and 1 tackle for loss. It is a similar story with the linebackers as only Leviticus Payne is back and he recorded 57 tackles, 2 sacks, 3.5 tackles for loss, 7 pass breakups, and 1 interception last year. The secondary is undoubtedly the strength going into the season with three starters back led by Zach Edwards. Edwards was second on the team in tackles with 121 and also recorded 3.5 tackles for loss, 6 pass breakups, and 2 interceptions. The defense have up 27.2 points and 439 yards per game in 2014 and it looks like that might happen again this year. It will be an interesting start to the season for Cincinnati with two conference games in the first four weeks. They open with Alabama A&M and Temple at home before a road trip to Miami (OH). They have a quick turnaround of five days to face Memphis on the road and then get Miami (FL) at home on October 1. They have another road trip to BYU two weeks later after a bye. They also have to face Houston on the road out of the West. It will be another winning season for Tuberville, but the games against Central Florida (home), Temple, and East Carolina (road) as well as if the offense can outscore the opponents will decide where they finish. A simple look at the 8-5 record for East Carolina in 2014 would suggest it was a slightly above average season for them. However, it was much bigger than the record indicates with wins over then #17 Virginia Tech on the road 28-21 and at home to North Carolina 70-41 in back-to-back weeks. Ruffin McNeill enters his sixth year in charge of his alma mater after compiling a 37-27 record. Let’s see what is in store for the Pirates. The offense brings back six starters, but the losses are big at quarterback, running back, and wide receiver. Shane Carden threw for over 4,700 yards in 2014 and his main targets were Justin Hardy (121 catches for 1,494 yards and 10 touchdowns) and Cam Worthy (55 catches for 1,106 yards and 4 touchdowns). Kurt Benkert will take over at QB, but he has only throw 10 passes in his collegiate career. While the losses of the top two receivers will hurt, Isaiah Jones put up some good numbers in 2014 with 81 catches for 830 yards and 5 touchdowns. Running back is probably the easiest of the skill positions to replace for ECU with Chris Hairston running for 528 yards and 2 touchdowns on only 79 carries last year. The offensive line does return four starters, which should provide good running lanes and ample time to the QB. However, the offense will not be as potent this season as it was in 2014. The defense will have five starters back from a unit that allowed 25.8 points and 367 yards per game last year. That was done with only three returning starters for the 2014 season. Defensive line returns only one starter from last year, but Terrell Stanley is back after starting 12 games in 2013 and then missing all of 2014. Linebacker has two starters returning led by Zeek Bigger. Bigger had an astounding 140 tackles, 3.5 tackles for loss, 4 pass breakups, and 2 interceptions. The secondary will have two starters back including 2014 1st Team ACC cornerback Josh Hawkins. Hawkins had 44 tackles, 1.5 tackles for loss, 11 pass breakups, and 5 interceptions. The defense should produce similar numbers as they did in 2014. East Carolina has FCS Towson to start the season before a road trip to Florida and another road trip to Navy to start conference play. They face Virginia Tech at home before back-to-back road games again with SMU and BYU on the schedule. The other team from the West, in addition to Navy and SMU, is Tulsa on October 17 at home. ECU faces fellow East contenders Temple and Cincinnati at home while getting Central Florida on the road. The final two weekends consist of UCF and Cincinnati. East Carolina will need to get their offense going right away if they are to challenge for the East, but look very good to reach another bowl game in 2014. 2015 will be year three of Willie Taggart’s reign at South Florida. He has gone a combined 6-18 in his first two seasons, but the offense and defense have both improved in those two seasons. In 2015, the offense has only four starters back and that will make it a bit harder to continue improving the offense. 2014’s starting quarterback Mike White is gone after transferring from the program and that leaves a battle between sophomore Quinton Flowers and former Penn State player Steven Bench. White threw for only 1,639 yards with 8 touchdowns and 7 interceptions last year so the new QB should be able to top those stats. 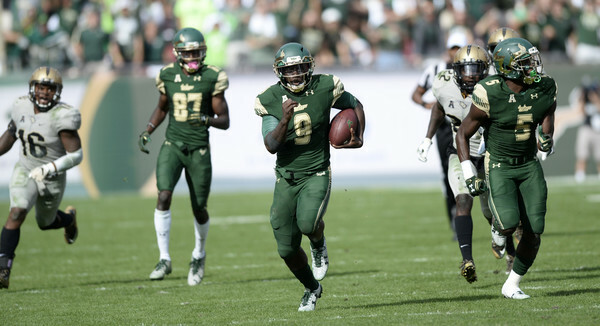 Marlon Mack will be the workhorse running back after running for 1,041 yards and 9 touchdowns as a true freshman. Mack also was named to the 1st Team AAC last year. The top wide receiver is gone, but Rodney Adams is back after catching 23 passes for 323 yards and 2 touchdowns. Despite the low amount of returning starters the offense should produce more than the 17.2 points and 305 yards per game it did in 2014. The defense is in a better situation with seven starters back including all of the top five tackles from a year ago. There is only one returning defensive lineman in Eric Lee, but both linebackers return in this 4-2-5 system. One of those linebackers, Nigel Harris, was second on the team with 77 tackles, 2 sacks, and 8.5 tackles for loss. Three of the back five starters return from a unit that gave up 220 yards passing in 2014. Jamie Byrd was the top tackler in 2014 with 95 tackles, 2.5 tackles for loss, 3 pass breakups, and 2 interceptions and he will be expected to help out in large volume again. The defense gave up 27 points and 403 yards per game last year and should improve on that this year. South Florida opens with Florida A&M at home before back-to-back road trips to ACC teams Florida State and Maryland. They end their non-conference schedule against a third ACC team in Syracuse on October 10. From the West, USF will face contenders in Memphis (home) and Navy (road) as well as SMU (home). The game at Connecticut on October 17 is likely to decide who finishes last in The American’s East division. USF is probably a year away from contending for a bowl game appearance. Bob Diaco took over at Connecticut in 2014 after Paul Pasqualoni was let go just after the start of the 2013 season. He went 2-10 in 2014 with only 12 returning starters on his team and UConn has not been to a bowl game since 2010 when they faced Oklahoma in the Fiesta Bowl (they lost 48-20). Six starters are back for Diaco from an offense that scored 15.5 points and gained 276 yards per game last year. Quarterback Chandler Whitmer has departed while Tim Boyle threw for 335 yards with 1 touchdown and 3 interceptions last season. Boyle will most likely play second fiddle again this year as North Carolina State transfer Bryant Shirreffs is likely to win the starting job. The running game only averaged 107 yards per game in 2014 and that should improve with four of the top five backs returning. Wide receiver sees the top two guys depart while Noel Thomas (26 catches for 305 yards and 4 touchdowns) is one of the top targets. The offense should be better in 2015. The defense gave up 29.8 points and 379 yards per game in 2014 with six starters back. In 2015, there will be eight returning starters with two on the defensive line and the top four tacklers are back as well on the line. Linebacker looks like an excellent unit for UConn with former Florida transfer Graham Stewart (94 tackles, 2 sacks, 8.5 tackles for loss), Marquise Vann (105 tackles, 0.5 sacks, 6.5 tackles for loss), and Florida State transfer EJ Levenberry all expected to start. Byron Jones is gone from the secondary, but three starters return to help make this a solid unit. The defense looks like it will improve in 2015 as well. UConn opens the 2015 season with home games against Villanova and Army. The travel to face Missouri before a home game against Navy and another road game against BYU. From the West, they will have the aforementioned Navy, but also Tulane (road) and Houston (home). As stated before, the game against South Florida on October 17 will most likely decide the AAC East’s bottom team. Diaco does have this team headed in the right direction. The American Athletic Conference’s East division looks incredibly competitive. Any one of four – Temple, Cincinnati, Central Florida, or East Carolina – can win the division. South Florida and Connecticut will be battling to stay out of the cellar. Below is a recap of the predicted order of finish. Check back on Friday, July 24 for The American’s West Division preview as well as the predicted winner of the conference championship game. Former South Florida quarterback Mike White announced via Twitter that he will be going to the Western Kentucky Hilltoppers. “After taking a visit and talking to the coaches I feel like it’s a really good fit for me,” White said in a text message to the Tampa Bay Times. In late March, it was reported that White was released from his scholarship and free to transfer to a school of his choosing. That release was confirmed by USF head coach Willie Taggart, who previously coached at Western Kentucky from 2010 through 2012. With White transferring to another FBS school, he will most likely be required to sit out the 2015 season. Starting with 2016 season, White would have two years of eligibility remaining. Assuming he redshirted in 2015, White would then be a redshirt junior in 2016.